Have you ever suffered a concussion? How would you know? An estimated 1.7 million people sustain a Traumatic Brain Injury every year. Of them 52,000 die, 275,000 are hospitalized and nearly 80% are treated in an emergency room; that is a staggering 1,365,000 people each year. Almost 500,000 of these traumatic brain injuries are suffered by children 0 – 14 years old. Ocean Integrated Wellness and Pain has created a cutting edge Concussion and Balance Center. We will do baseline testing to determine what your balance issues are and create a customized treatment plan to address your issues. If your problem is a Traumatic Brain Injury, our medical staff will identify the problem and like our Balance Program create a custom program to keep you safe from further injury. For the average person a Baseline Test should be run prior to injury. This is done at Ocean Integrated Wellness Concussion and Balance Center. We save all results and in the event of injury we can see how much change has occurred within the brain. If you have a family member that plays any sport I would suggest getting a Baseline Test immediately. A concussion is a type of traumatic brain injury, or TBI, caused by a bump, blow, or jolt to the head that can change the way your brain normally works. 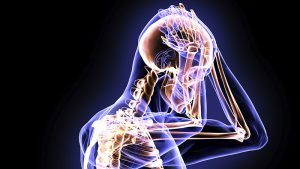 Concussions can also occur from a fall or a blow to the body that causes the head and brain to move quickly back and forth. Health care professionals may describe a concussion as a “mild” brain injury because concussions are usually not life-threatening. Even so, their effects can be serious. People with a concussion need to be seen by a health care professional immediately. If you think you or someone you know has a concussion, you need to contact Ocean Integrated Wellness Center’s Concussion and Balance Center. Our comprehensive screening and treatment plans will help you get well quickly and safely. Getting help soon after the injury by trained specialists is crucial. 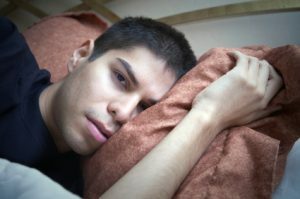 What Are the Potential Effects of a TBI? 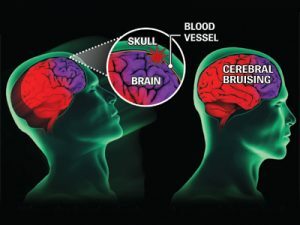 According to the CDC the severity of a TBI may range from “mild,” i.e., a brief change in mental status or consciousness, to “severe,” i.e., an extended period of unconsciousness or amnesia after the injury. TBI can also cause epilepsy and increase the risk for conditions such as Alzheimer’s disease, Parkinson’s disease, and other brain disorders that become more prevalent with age. One of the biggest problems we face in this country is people with Traumatic Brain Injuries and Balance Issues. The New Jersey Concussion and Balance Center has been created to help combat this healthcare crisis. Our medical staff will address your conditions quickly and with care. Our drug free non surgical approach to healthcare separates us from many other doctors’ office. Make your appointment today and let us change your life.